Whether an outage is caused by bad weather, an overtaxed electrical grid, a backhoe accidentally hitting a power line, your data center needs to be prepared for power loss. Downtime matters, and downtime prevention matters. Most large businesses lease space with Tier 3 or Tier 4 data centers due to the level of redundancy associated with those Tiers. Learn more about the difference between Data Center Tiers. On Friday Dutch electricity network administrator Tenne T reported that a large part of North Holland province, which is home to some 2.7 million people, was hit by a power outage. The outage was due to an overload at a power station in the town of Diemen. Trains, trams, and planes ground to a temporary halt in and around Amsterdam. Hospitals in the affected area switched to backup sources of electricity. Amsterdam is a popular city for businesses when considering where to lease data center space; “the gateway to Europe”, has tax advantages for cost-effective colocation, and a sizable English-speaking population. 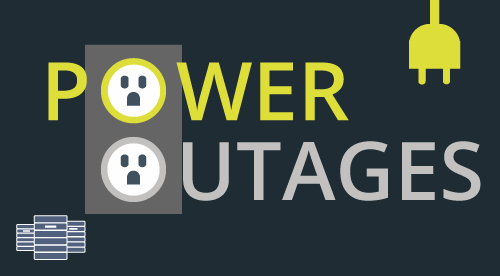 A regional power outage in Amsterdam could have a huge impact on many businesses. How were data centers in Amsterdam affected? Here are responses from a couple of our provider partners in the area. Amsterdam locations require power minimum of N+1, 2N UPS redundancy, and backup generators supporting 24 hours at full capacity and guaranteed refueling within 4 hours. Telecity operates five data centers in Amsterdam. All of their data centers use computerized Building Management Systems (BMS) that monitor and remotely operate sensors covering electrical, mechanical, fire detection, and leak detection systems. Every site provides Uninterruptible Power Supply (UPS) systems and standby diesel generators capable of supporting the site indefinitely in the event of a failure of grid power. “Four of our five sites in Amsterdam were impacted by the grid-loss. They all transferred to generators automatically, ran for about 2.5 hours and once the grid returned and we were happy with the stability we transitioned back. Not a single issue with power loss. All sites are currently being refueled”, said Martijn Kooiman, Regional Sales Director Western Europe at Telecity. With so many data center service providers out there, it is difficult to find the right data center to support colocation or hosting requirements across the globe. Companies rely on data centers to support mission critical IT infrastructure and maintain business continuity. A high availability data center minimizes the chances of downtime occurring for critical applications and makes it easier to secure and manage a company’s IT assets. As a result, the decision to choose a data center or colocation service provider who can be trusted with business and mission critical IT applications becomes even more important.